A luxurious Rear Lounge Model with plush Power adjustable seat backs! 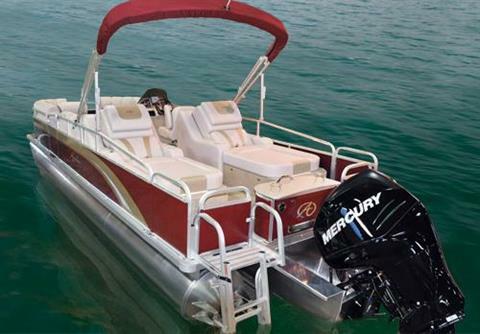 This Triple pontoon waveglider equipped craft is the most fully equipped rear lounge model on the market. And at a price that rivals competitive 2 pontoon models! 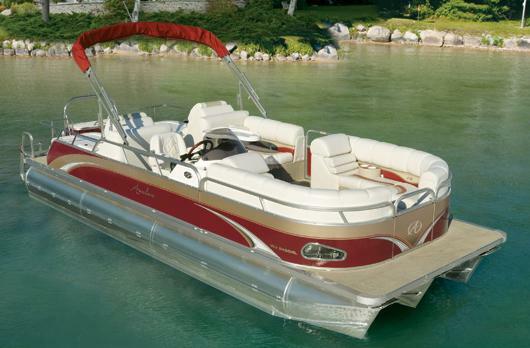 Windjammer RL also features a fiberglass Drivers Stand with woodgrain dash, Mooring cover, and twin rear ladders.